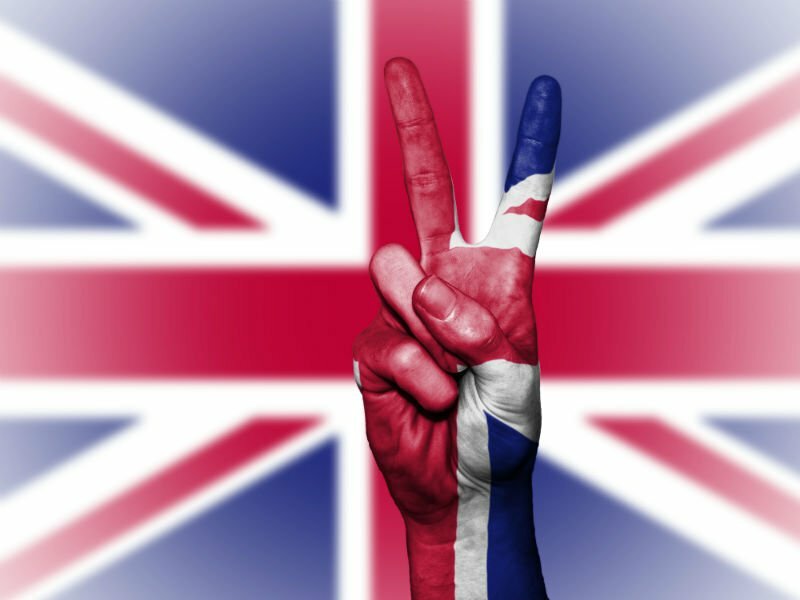 London British 10K: 7 Days to go! Oh my gosh, it’s really getting real now! This time next week I will have completed the Virgin Sport British 10K in London. 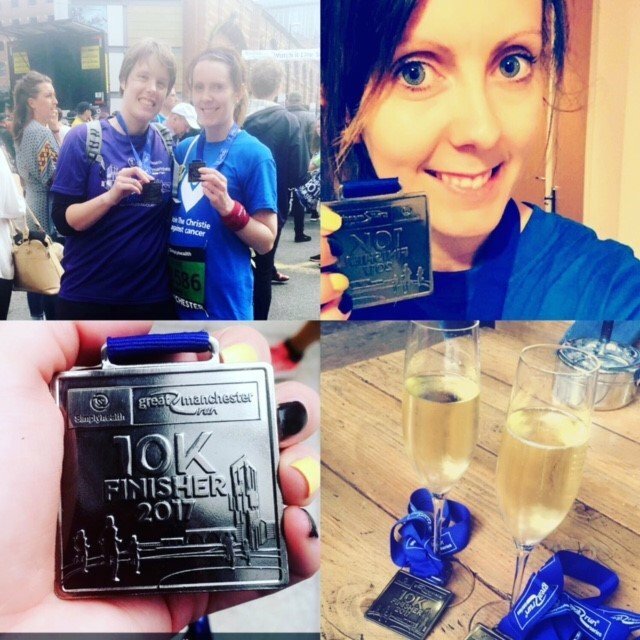 Back in January, I set myself the challenge of completing this iconic 10K for the Scoliosis Campaign Fund. I could barely run 5K in January but wanted a fitness challenge for the new year, as well as giving something back to the Scoliosis Campaign Fund / Scoliosis Association. This week, my bib arrived which means it must really be happening! My Bib arrived this week! I was lucky enough to be given a charity place by the Scoliosis Campaign Fund earlier this year. After I got the place, I focused all my efforts on training for this event and have been doing so over the past 6 months. Over these past 6 months, I have achieved quite a lot with my running. I have completed many 5K Park Runs and improved my 5K time gradually from 33 minutes to under 28 minutes. I have also completed 3 10K races and have gone from completing this distance in 1hr 19 minutes (which I did 2 years ago) to well under an hour! I am really proud of hour far I have come. It just proves what you can achieve through hard work, dedication and training. 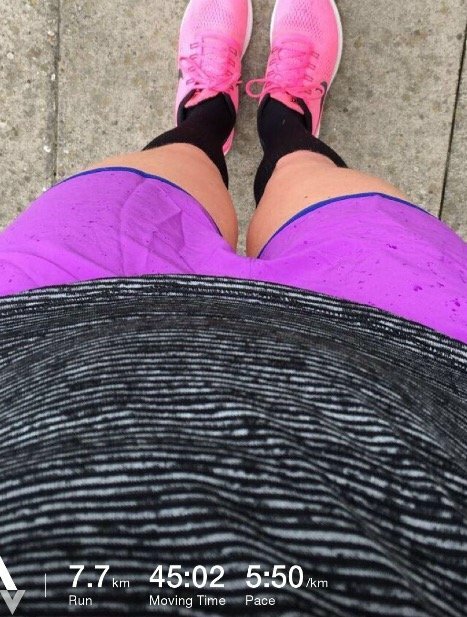 With just 1 week to go until the British 10K, I thought I’d share my training diary on my blog for the past week. All money raised will go directly to the Scoliosis Campaign Fund. The Scoliosis Campaign Fund support people with scoliosis and fund research into finding causes and treatments. After the Colshaw Hall 10K on the Sunday 25th, I was a bit sore and my back was feeling it a bit. So I thought it would be best to have Monday as a rest day. On Tuesday, I headed out after work to do a short 4.4km run, which took me 26 minutes 37 seconds. I wasn’t trying to be fast, it was more of a recovery run although I did struggle a bit to be honest. I probably could have used a few more rest days after the 10K race on the Sunday! All I can say about this class is oh my god! I decided to mix up the running a bit this week to give my back a bit of a break. So I went to a class at my gym called Body Attack. Well, the name sums up the class to be honest… It’s a high impact, high energy fitness class with lots of running, jumping, squats, lunges, core work etc for ONE HOUR straight. It was pretty difficult but the music and the instructor made it fun. It’s a great way to get cardio in without running though and the strength building parts are a good complement to running. Tonight I went to Body Pump at my gym after work. I had an hour to kill before the class so decided to do some interval work on the treadmill as an attempt to try and increase my running speed. I did struggle a bit tonight as I had major DOMS (delayed onset muscle soreness) after the Body Attack class, especially in my calves. But I did some stretches and carried on! I wasn’t too sure what I was doing with the intervals as I’m not used to doing them, but basically I tried doing 1 minute fast (slightly faster than my usual running pace) and then 1 minute walking and repeated this about 6/7 times. This was really hard and I felt more knackered doing this than just running for 20-30 minutes at the same pace! I think intervals are best done with a heart rate monitor as you can monitor your heart rate and how far to push yourself. I aimed to get my heart rate up to 85% on the fast intervals and bring it down to around 70% in the slow intervals. I’m lucky because I have a heart rate monitor (I use a MyZone MZ3), which is linked to my phone and screens at the gym which helps me when it comes to getting this right. I think I’m going to start mixing intervals into my usual weekly running and see how I get on. I’ve read that intervals are the best way to increase speed and it is good to mix up the training to keep it interesting. 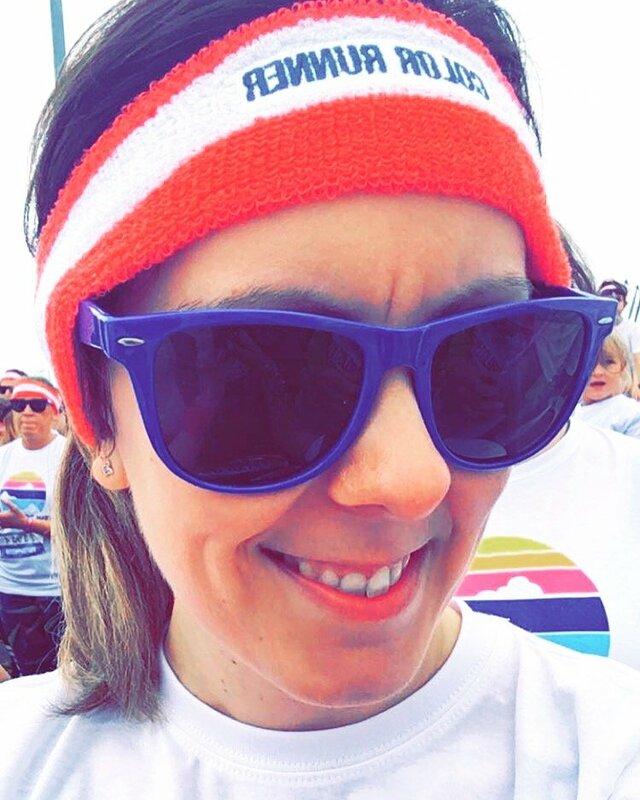 So today I did the Color Run in Manchester – the happiest 5k on the planet! I wanted to do this because a couple of years ago I did Run or Dye and absolutely loved it. It’s more of a fun run though and is not timed, so it’s not really an event to be chasing a PB! Most people were walking and it was difficult to run around people which was slightly frustrating at times. I think to avoid this they should have set people off in waves e.g. runners, joggers, walkers like they do at Race for Life events…but hey ho! Overall it was a fun event and somehow, despite all the people walking and having to stop several times, I managed to get a 5K PB and completed it in 26.58! 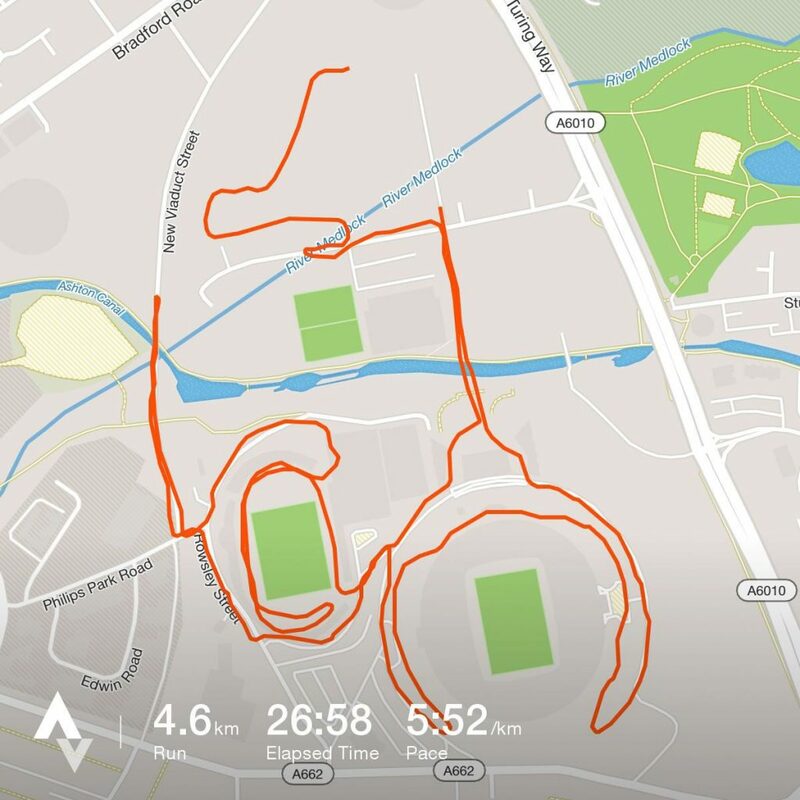 Although according to Strava, it wasn’t quite 5km, it was 4.6km… hmmm. I was going to leave the running until Tuesday, but with the weather being so nice I decided to head out for a run this evening. I didn’t have any distance in mind, I just thought I’d go with the flow and see how far I could go. Luckily I didn’t feel too bad and I kept the pace slow-ish so I didn’t injure myself. Due to this I managed to do 10.4km which I was pretty pleased with. This will probably be my last long run now until the big day next weekend. I might sneak in a couple of short runs next week depending on how I feel. Through Virgin Money Giving, donations will be quickly processed and passed to the Scoliosis Campaign Fund. I really appreciate all your support and thank you in advance for any donations. On Sunday 9th July, I will be running 10K for the Scoliosis Campaign Fund in the iconic London British 10k! This will involve a flat, fast 10K through London’s most famed sites. Through these activities, I want to raise money and much needed awareness of scoliosis. But not only that, I want to inspire others who are suffering with the condition and show that having scoliosis doesn’t have to stop you from achieving your dreams. 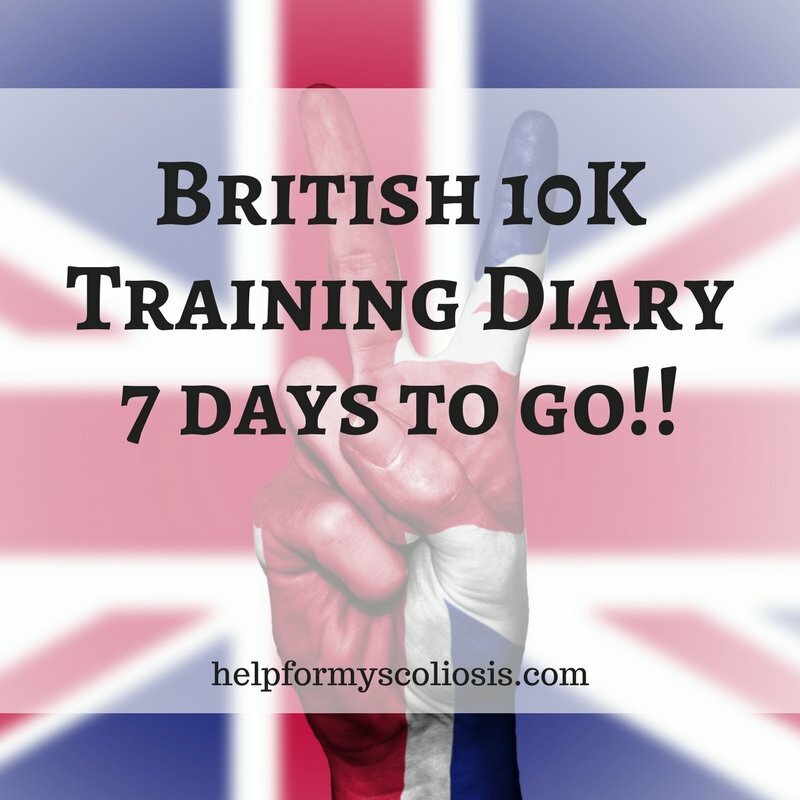 So, with just 14 days to go until my first scoliosis challenge, I thought I’d write a post to share my training over the last few weeks! After the Great Manchester Run, I had seriously bad DOMs (Delayed Onset Muscle Soreness) in my legs and the running also took its toll on my back and shoulders! For this reason, I had a few days off from training. On the Thursday after, I started feeling ok again and headed to the gym for BodyPump. 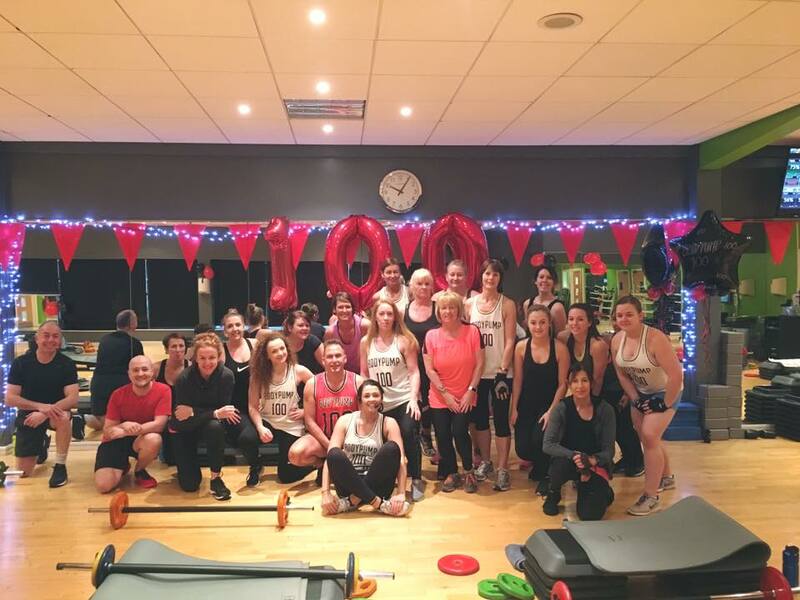 I love BodyPump and have written a few posts on it before. This was the first training run that I did after the Great Manchester Run, almost a week after the event. I was surprised how much this event took it out of me! 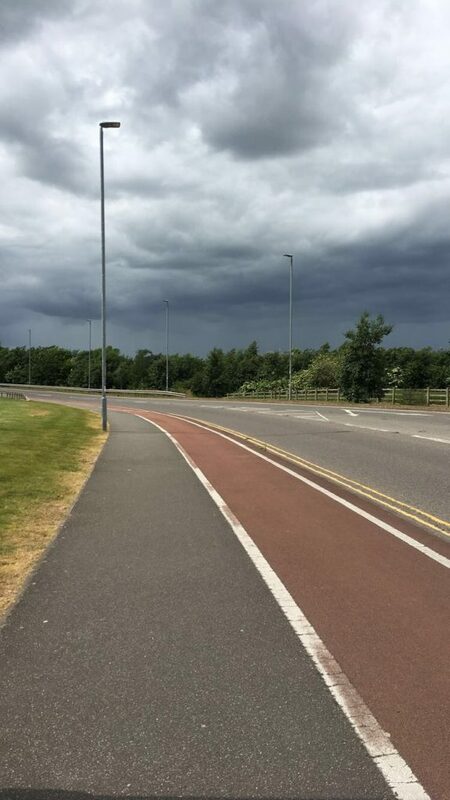 I managed a steady 7.7km which took me 45 minutes – even if I did get a bit wet in the rain! Instead of running again today, I decided on a walk with a friend as it’s important to mix things up. I had Monday as a rest day, then on the Tuesday I went for a run after work. It was a really windy day so I struggled quite a bit and my pace was a bit slower than usual. Wednesday was a rest day, so I headed out for another run on Thursday evening after work. I managed 7.4km which I was pretty pleased with! 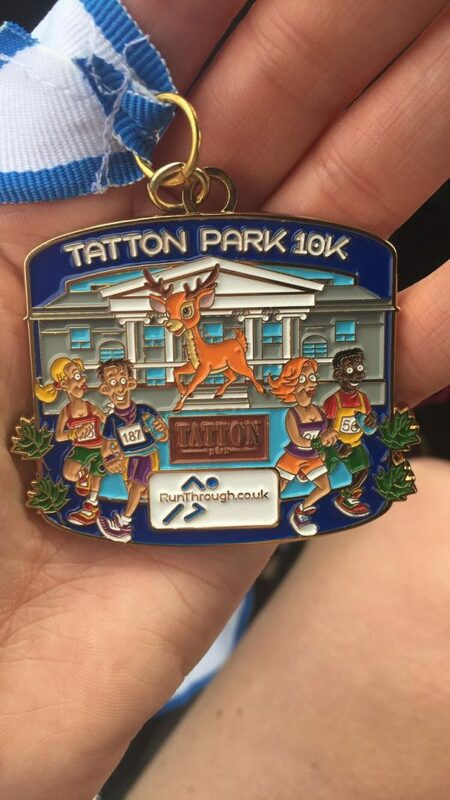 My friend asked me to do the Tatton Park 10K with her and, in a moment of madness after the Manchester 10K, I booked it! 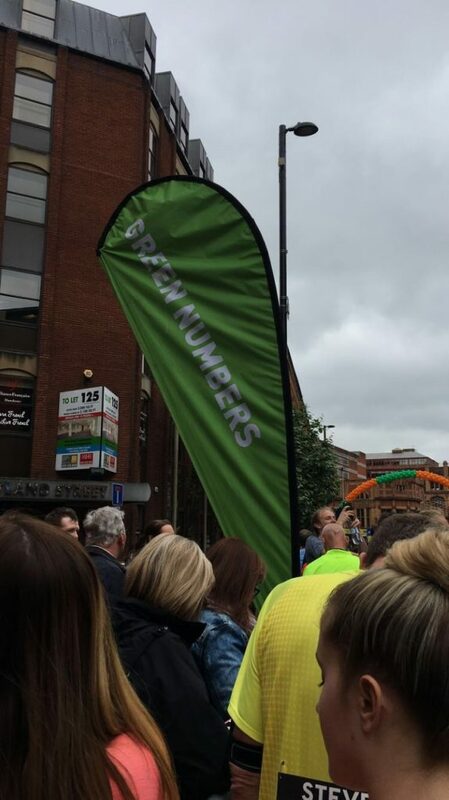 To be honest, I wasn’t really looking forward to it as the Manchester 10K really took it out of me. But I thought it would be good as a longer training run for the British 10K. 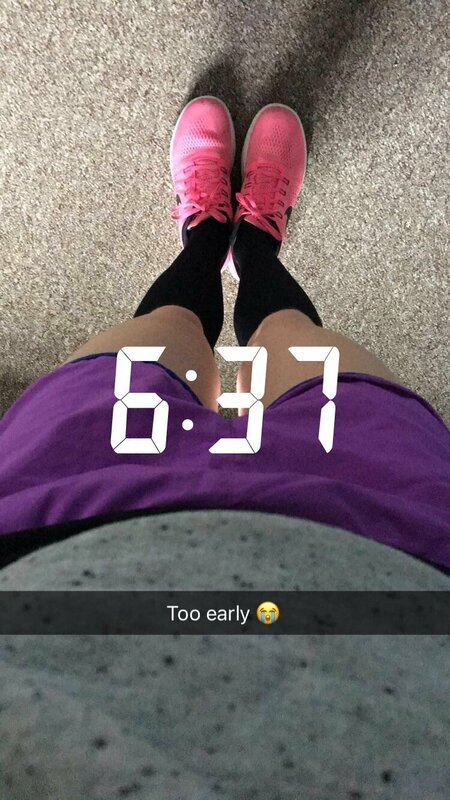 It was a horrifically early start for a Sunday too – I had to get up at 6.30am for an 8.30am race start! It was a really nice course though through pretty grounds and mostly flat. Tatton Park is a historic estate with 1,000 acres of lavish gardens and a deer park, so the views were lovely, although I was disappointed that I didn’t spot any deer! I ran the race with my friend, she is much faster than me but wanted to take it easy so ran at my pace. Although I think running with her must have sped me up as I managed to complete this 10K even quicker than the Manchester one. My time was 57.22 – a new PB. Either that or early morning running could be my new thing (I normally run in the evening). Considering the first 10K I ever did took me 1hr 20 minutes, I was pretty chuffed with this improvement in my time! Actually, scratch that, I was in total shock! Overall, I was really impressed with this event. It was really well organised and the grounds were awesome, not to mention the friendly marshalls. They have another 10K here in November which I might sign up for when it’s closer. 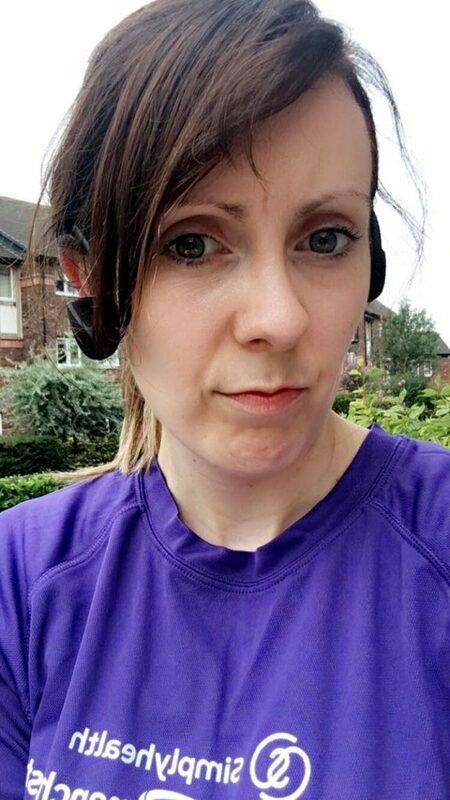 After the Tatton Park 10K, I had a few days off from training to let my body recover and headed out for an evening run on the Thursday after the Tatton Park event. 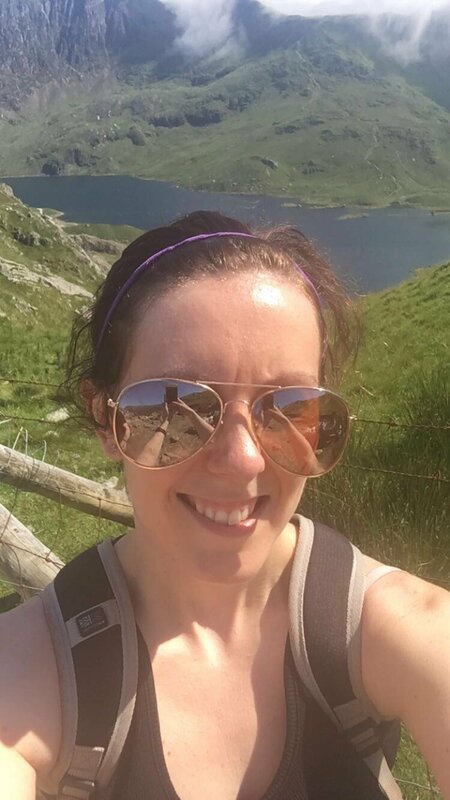 Saturday 17th June: Mount Snowdon! Now, this was a challenge! I was on holiday in Wales this weekend (glamping!) and we were staying right by Mount Snowdon (the highest mountain in Wales!) So we (stupidly?) decided to trek up (and down!) it while we were there. The weather was a challenge, as it was a hot day, but other than that conditions were pretty good. Clear blue skies = amazing views! I have actually walked up Snowdon before when I was only 1 year, 8 months post my scoliosis surgery so I kind of knew what to expect. Although on reflection, the first time was much harder because the weather was poor (rainy and misty with it being March) and I was much weaker than I am now, so I struggled much more the first time. This time, I still struggled with the steep climbs despite all the running I do. However, I found the “scrambling” parts much easier. 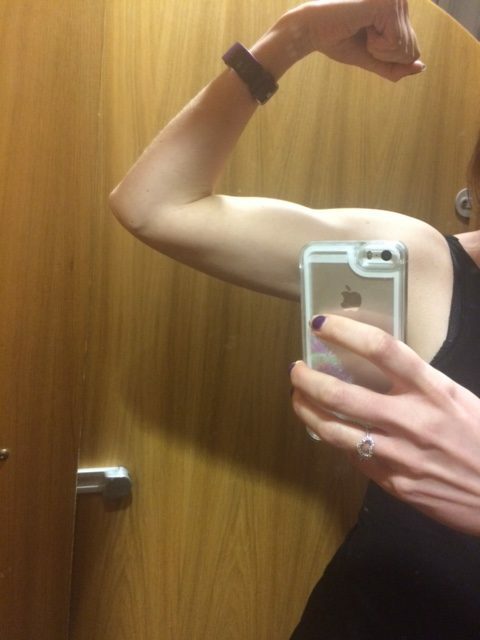 I think the months of body pump squats and lunges have made me much stronger! It was about 6 hours of walking overall (3 hours up, 3 hours down) and it gave me a bit of an insight into what the Great Wall of China might be like. 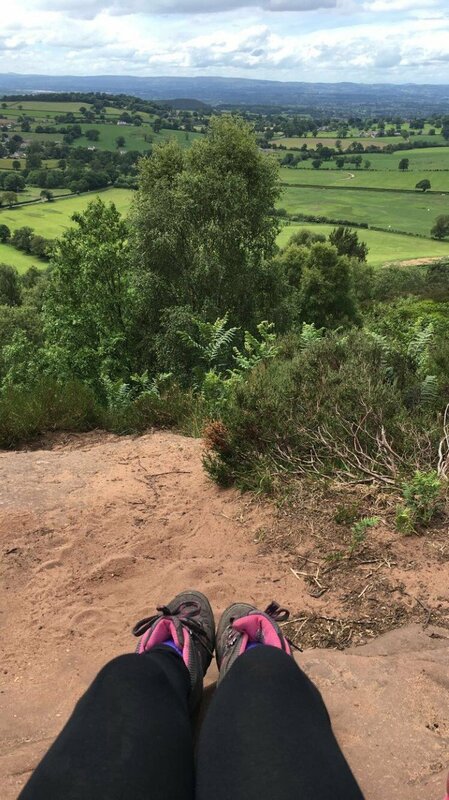 It also made me realise that I’m not as fit as I like to think as I am, as I did struggle with some of the steepest parts. I think it’s great training for China though and I might try and fit another training hike up Snowdon in before my China trip. Anyone that lives in the UK will know we had a bit of a heatwave this week, well a heatwave by UK standards anyway! 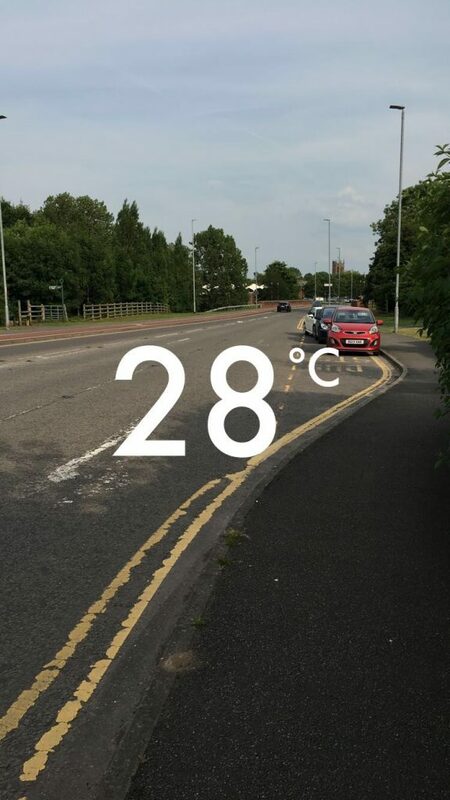 So it was still around 28 degrees Celsius when I went out for my evening run, which was a bit hot for me to run in as I’m not used to running in the heat. I still gave it a good go though as I didn’t want to let my training slip! 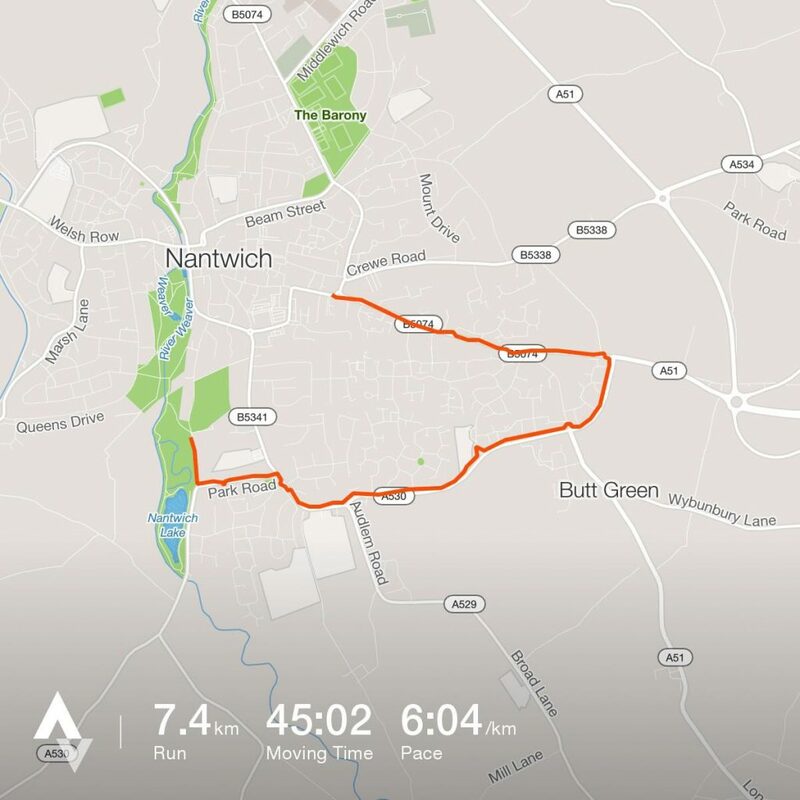 I managed to do 6.4km, although the heat did affect me and I did struggle to run at my usual pace. This was another scorcher of a day for the UK and it was another hot evening run, I think it was about 28/29 degrees Celsius when I went out after work. I didn’t really feel like going out tonight as I was too hot and bothered and feeling sluggish from work. 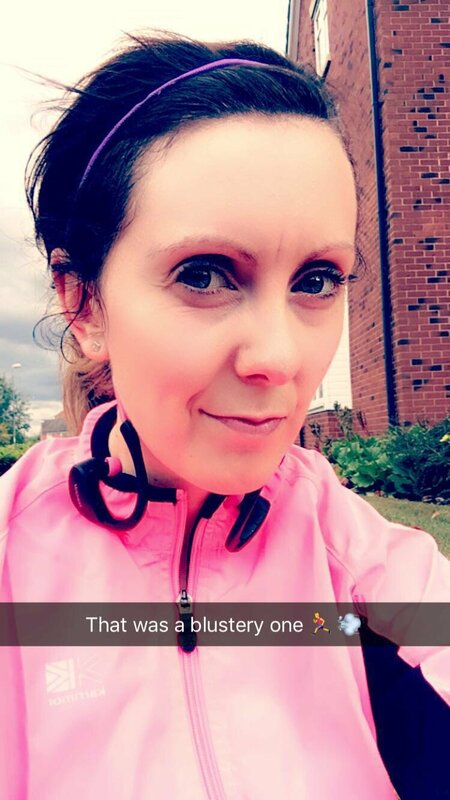 To be honest, I really had to force myself but I still went out as I wanted to keep on top of my training for the British 10K. I struggled in the heat though and kept my pace fairly steady. I was a right sweaty mess after this one I can tell you! I decided to take a break from running tonight and go to a BodyPump class at my gym. I try to go to BodyPump once or twice a week usually but have struggled to fit it in over the past few weeks. 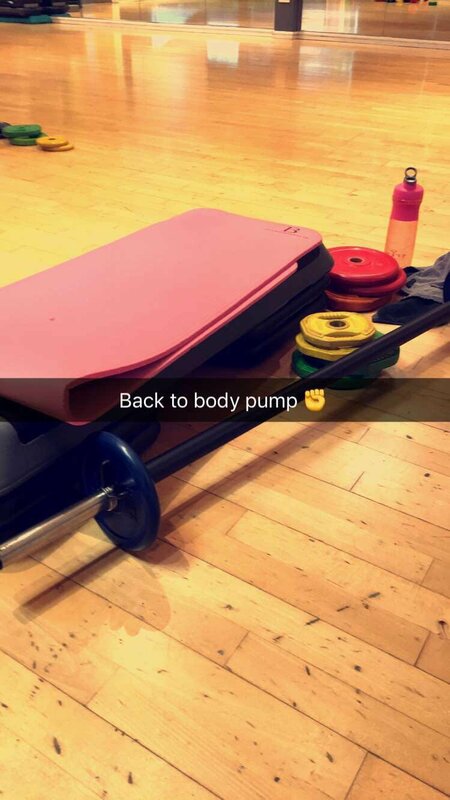 It felt great to get back to BodyPump tonight as it’s one of my favourite classes. 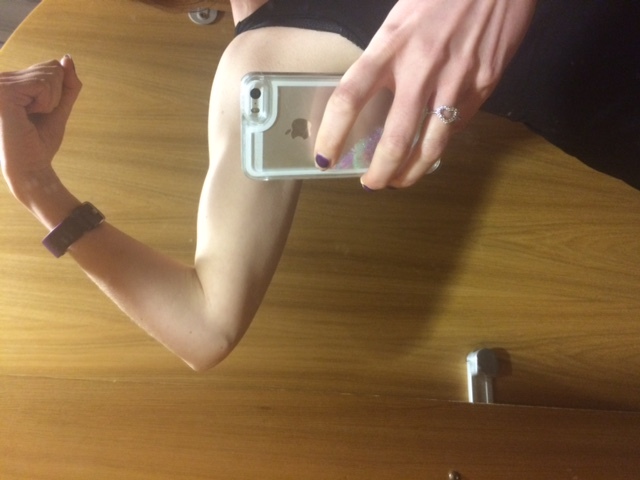 I love the feeling of getting my body stronger and I really do think that going to BodyPump classes over the past year has contributed to the improvement in my running. 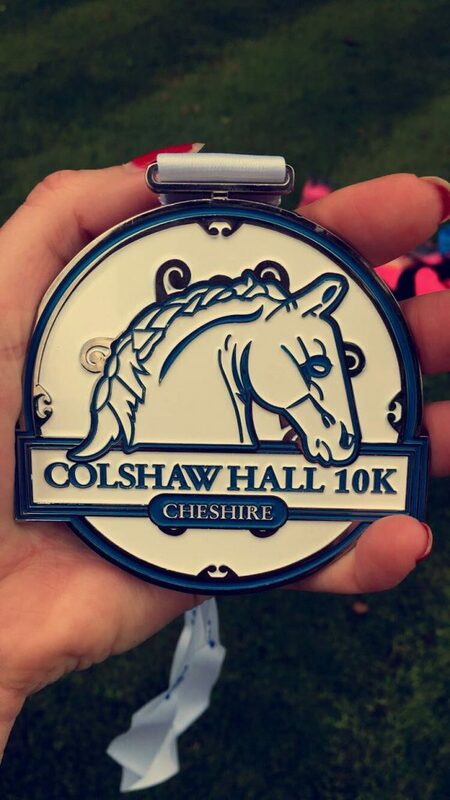 Despite this though, this morning I took part in the Colshaw Hall 10K in Knustford (my third chip timed race this year and ever). Unlike the Tatton Park 10K, I’ve had this one booked for a fair while and wanted to use it as part of my training for the British 10K. Overall, I really enjoyed it! It was fairly flat (apart from a killer hill at the 7km mark which I was pre-warned about!!). It took us through some rather plush areas of Cheshire, down the leafy country lanes – we ran past some rather nice big houses and also Jodrell Bank, which was pretty cool. I decided not to push myself with this one, as I didn’t want to injure myself before the British 10K. I wasn’t trying for a PB or anything, I just wanted to complete it! 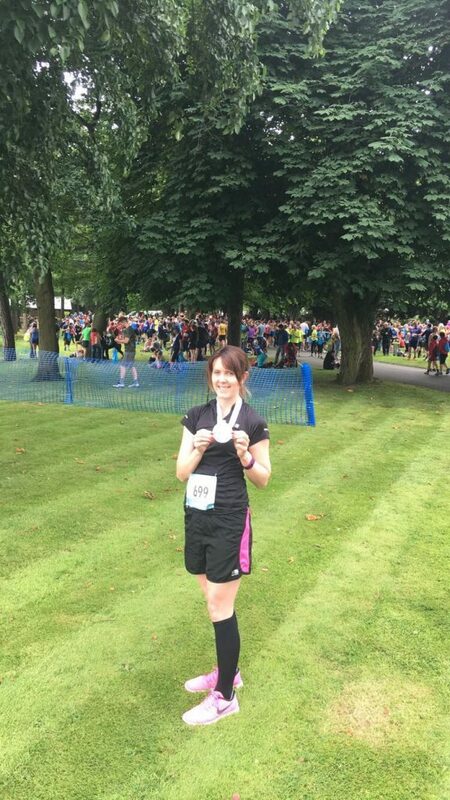 So I took a steady pace and in the end I finished 59.05, which was similar to the Great Manchester Run (59.09) but not as quick as the Tatton Park 10K (57.22). Still, I’m really pleased that I managed to get under an hour and that it didn’t actually feel too bad at all! I have definitely come a long way with my running. Plus, my legs were ok once I got going, tomorrow may be a different story though…! I was also glad that the mini heatwave we were having in the UK last week finished in time for this event. It was actually perfect running temperature for me, about 15C and cloudy! It was worth it for the huge medal though! Phew! It’s only writing it all down that I’ve realised how much I’ve actually been doing. No wonder I’m always hungry.. Seriously though, this is pretty much a standard month for me. When I’m not training for a specific event I usually have more of a mix of different gym classes thrown in too. This month though, I’ve been focusing on running and running events in preparation for the British 10K. After the British 10K, I will most likely tone down the running and focus more on hikes and trekking to prepare for my Great Wall of China challenge in October. 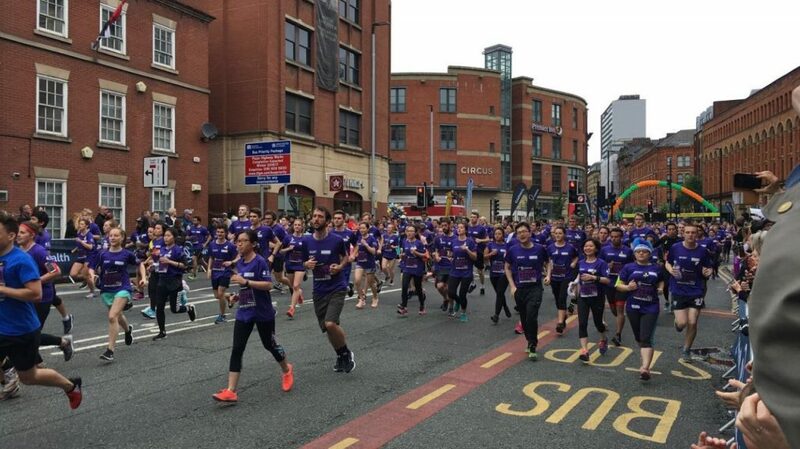 The Great Manchester Run… Wow! I had an absolutely AMAZING day yesterday and just felt like I had to share it on my blog. Yesterday I took part in the Great Manchester Run (10K). This was the first ever competitive timed race that I have ever taken part in. I have done fun runs before but this year I decided that I wanted to push myself even further and get serious about my running. 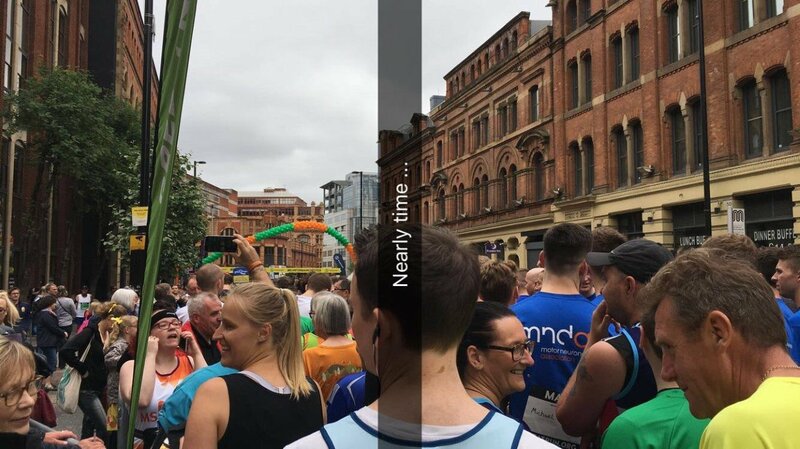 When I signed up to the Great Manchester run back in January, I could only just about run 5K and I had no idea how big of an event it was! I was really nervous when I realised that it was a huge event, that it was televised on BBC1 and that there were even celebrities running! 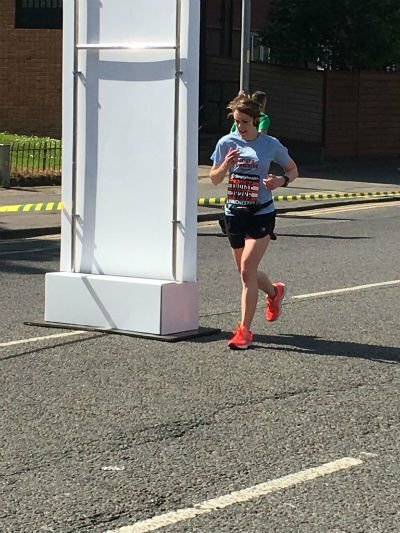 After the horrific terror attack in Manchester last week, I wasn’t sure if the run would go ahead and if it did, I wasn’t sure at first if I should still run in the event. But do you know what? I am so glad that it went ahead and I’m glad I did the run. I will admit that Monday’s events did make me anxious about taking part but I’m so honoured and proud to have been involved. The atmosphere and support from the crowd was just INCREDIBLE, it’s hard to put into words. As I was in the “green” wave, my start time was quite late (14.40) and so we arrived around lunch time and watched a few of the other “waves” of runners set off. 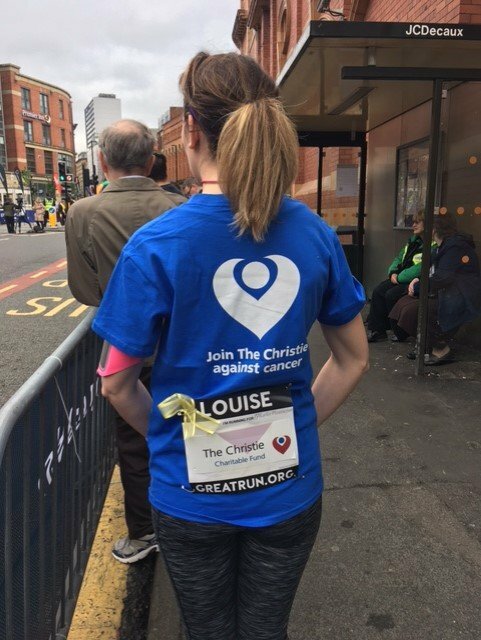 It was such an incredible and inspirational sight to see thousands of defiant runners raising money for great causes, in spite of the tragic events of last week. 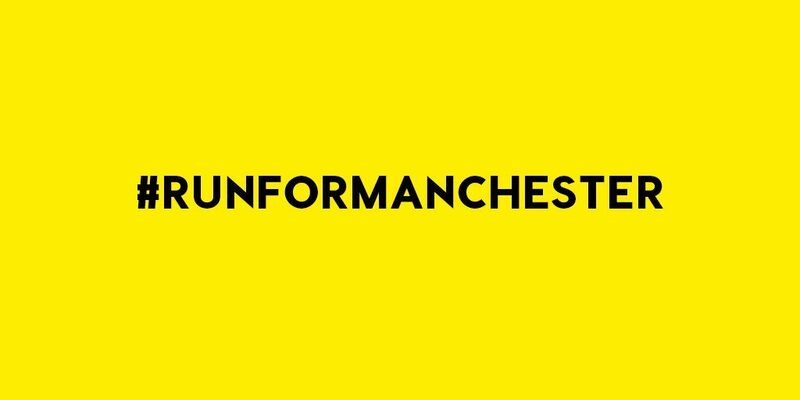 Many of the runners (including myself) wore yellow ribbons to show support to those who lost their lives in the terror attack and there was a minutes silence before the start of each “wave.” It was a very emotional day. When it was my turn, I was incredibly nervous but determined to give it a go and do the city proud. I have been training hard since January, attending Park Run most Saturday’s and doing several short runs a week. However, I still wasn’t sure if I’d be able to complete the 10K distance. I decided though to just go and show my support to the city, enjoy the atmosphere and not aim for a specific time. 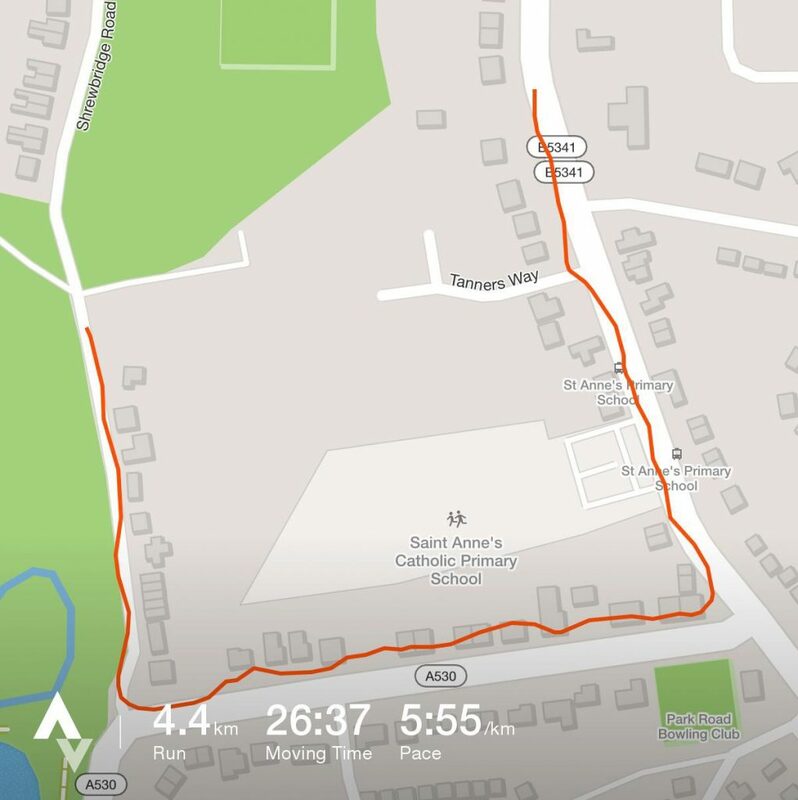 Once I set off, I had no idea what pace I was running as I failed to start my run keeper app at the start, which made it difficult to know if I was running at my usual pace or quicker/slower. I won’t lie, I did find the run incredibly difficult. I got stitch half way round but the cheering of the crowd, high fives and the support from the other runners kept me going. When I got close to the finish line and could see the timer counting down for my wave, I was shocked to see that it said 59 minutes! 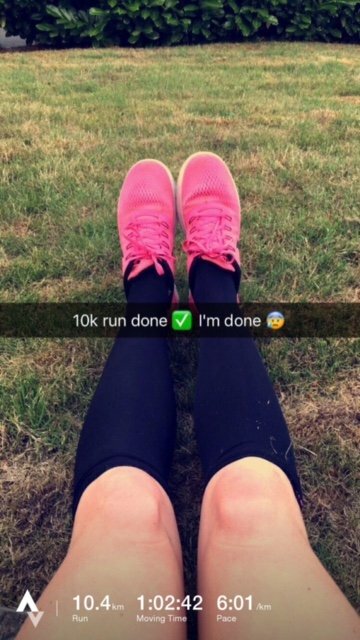 I have never completed 10K in less than 60 minutes, in fact the last 10K I did for Race for Life two years ago, took me 1 hour 17 minutes! As soon as I saw the timer counting down, I sprinted hard towards the finish line to try and get below 60 minutes and I managed it – just. My final “official” time was 59:09. I’m super proud of myself and of all the other runners that took part in yesterday’s event. 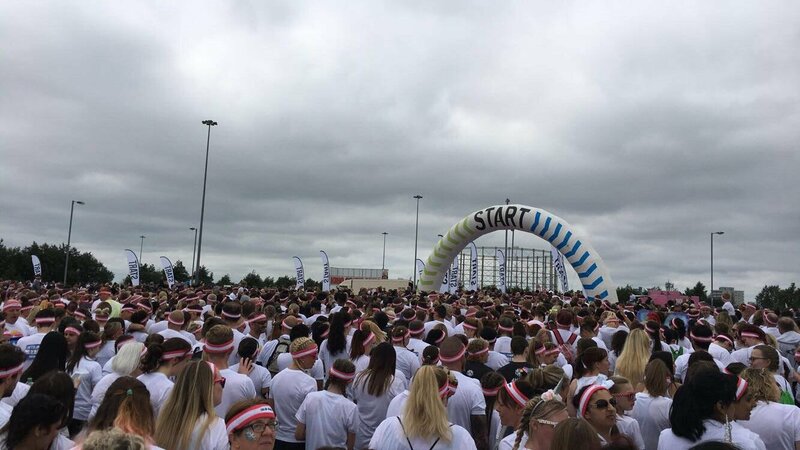 The atmosphere is something I will never forget and I hope to take part again next year 🙂 Plus, I managed to raise over £250 for The Christie – wahey! If you’d like to support the families affected by the Manchester terror attack, the Manchester Evening news have set up a crowdfunding page where you can donate to help support the families of those killed and injured in the attack. Park Run has recently become a bit of a Saturday morning routine for me. I get up early (7am), have breakfast and head over to Delamere Forest for the start time of 9am. So I’ve managed to shave 3 minutes off my time since January! Now, I’m fully aware that these times are probably crap for some people! When I first started running a couple of years ago though, I was running 5K in around 40 minutes. So it just shows how far I’ve come. 🙂 I believe that anything is possible if you work hard enough. 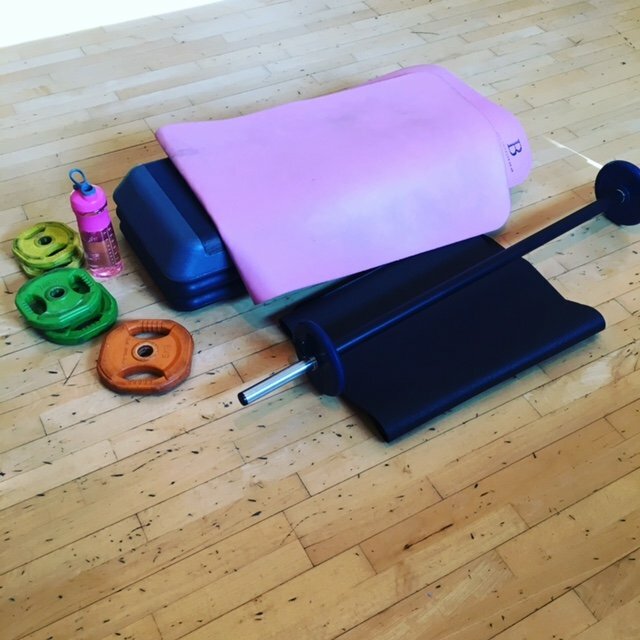 I have been supplementing my running training with Body Pump classes, spin classes and HIIT training at my gym. Walking is also important, most days I try to get my goal of 10K steps. I truly believe that this extra training has helped to improve my fitness and 5K times. Don’t get me wrong, today’s Park Run was not easy. I pushed myself HARD to get that time and it wasn’t exactly comfortable (this wasn’t down to my back though!) But it’s a start and I can now work on improving each week. The good thing about Park Run is it’s highly motivating and it makes me push myself more than if I was running alone. For me, it also shows that anything is possible after scoliosis surgery. 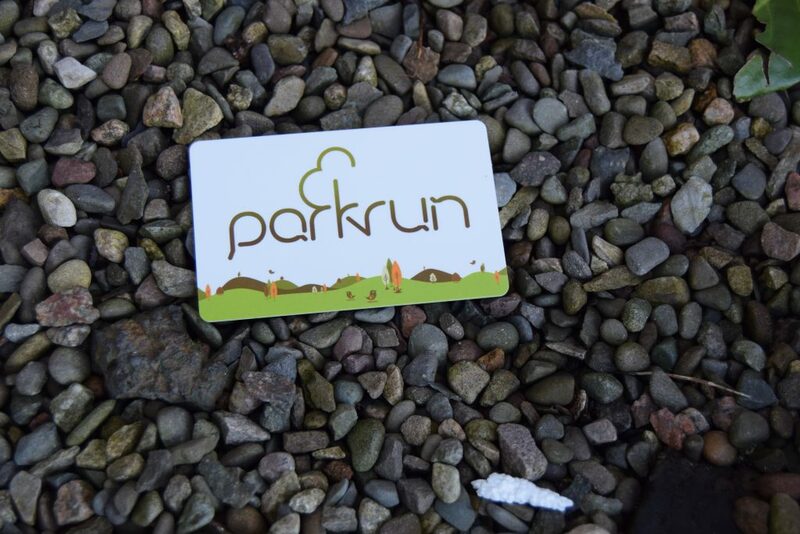 If you are interested in finding out more about Park Run, check out their website here – Park Run. It’s free to register and you can walk, jog or run 5K (you don’t have to run). They have free, weekly timed 5K’s around the world! This week it was confirmed that I have a place in the British 10K London run on 9th July and I’ll be running to raise money for the Scoliosis Campaign Fund. 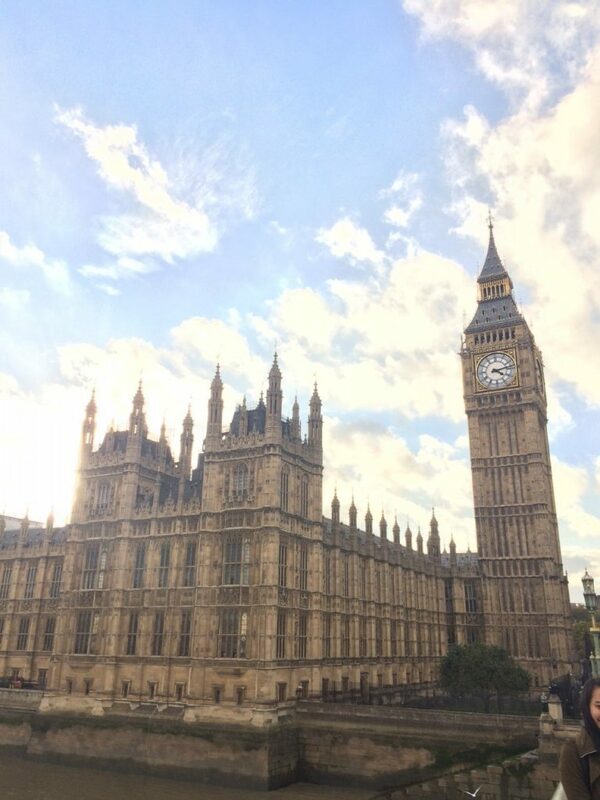 The British 10K London run takes runners through some of London’s most iconic sites, such as Trafalgar Square, the Embankment, Big Ben and more. The Scoliosis Campaign Fund raises money to support people with scoliosis and their families, and fund research into finding the causes of scoliosis and treatments to improve quality of life for patients. There is more information on the great work the Scoliosis Campaign Fund do in this useful information sheet. 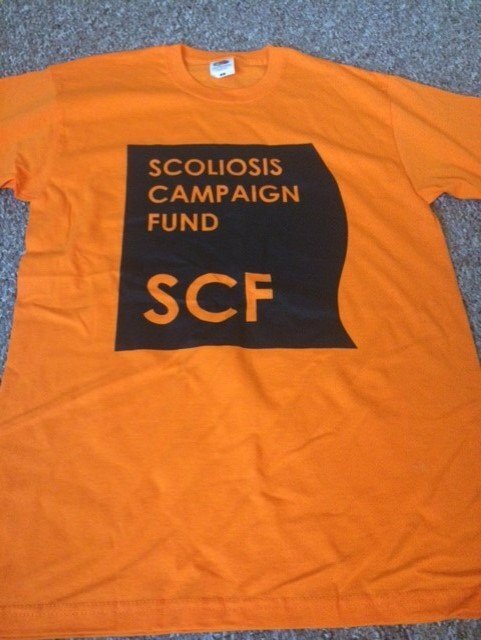 I’ve been wanting to do something to raise awareness of scoliosis and raise money for the Scoliosis Campaign Fund for absolutely ages, I just wasn’t sure what to do. 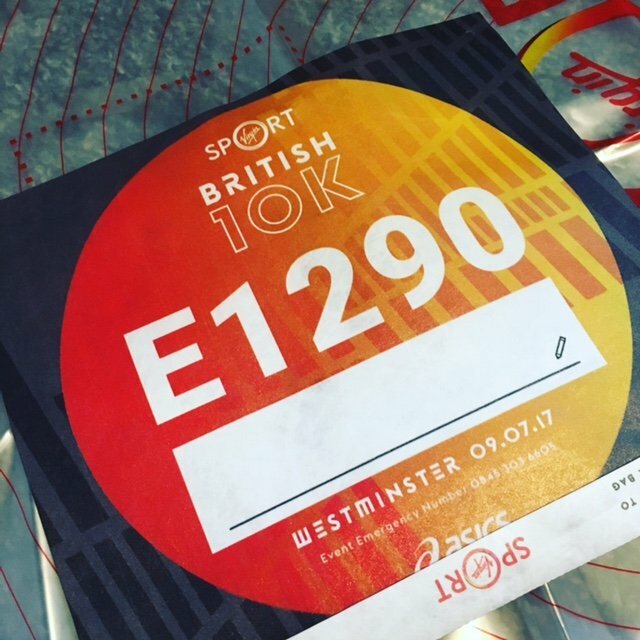 When I saw an article in BackBone magazine about the British 10K London run last year, it inspired me to get involved and I knew that 2017 had to be the year. 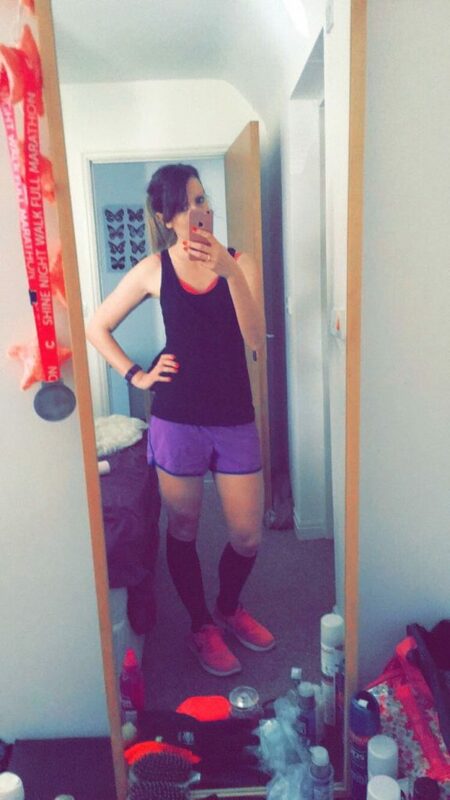 It would be my ultimate dream to run the London Marathon for the Scoliosis Campaign Fund, but I am nowhere near ready in terms of fitness and honestly, I don’t think my back could take it. At the moment, I can just about run 5K and will need to train over the coming weeks in order to work myself up to 10K, so I’m ready for the event. 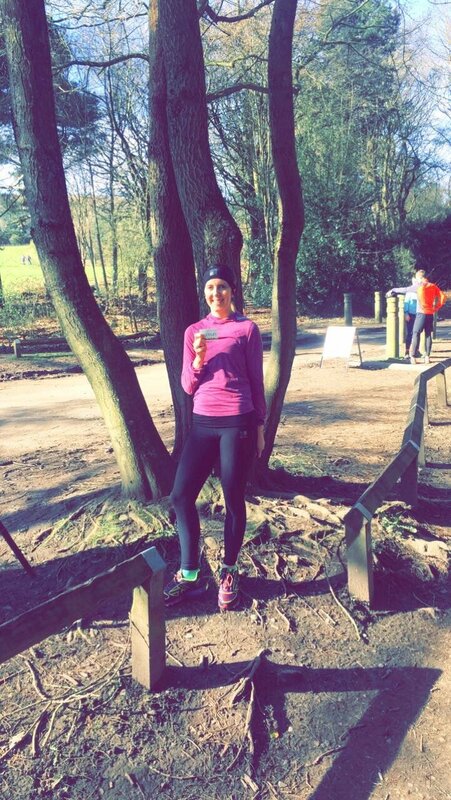 As part of my training, I plan to follow a 10K training plan online, whilst also attending any Park Run I can and doing my usual spin classes and Body Pump classes at the gym. 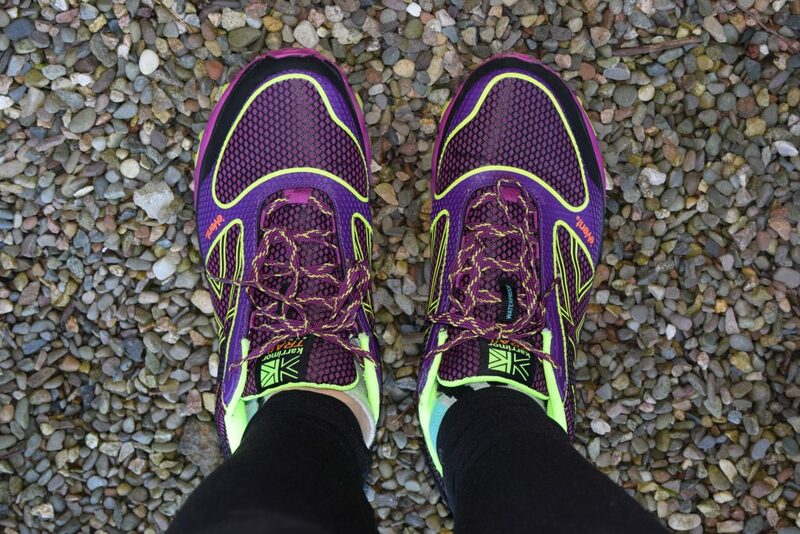 Over the past few weeks, I have been running (or jogging!) about 20-30minutes several times a week, as I am also doing the Great Manchester Run in May. 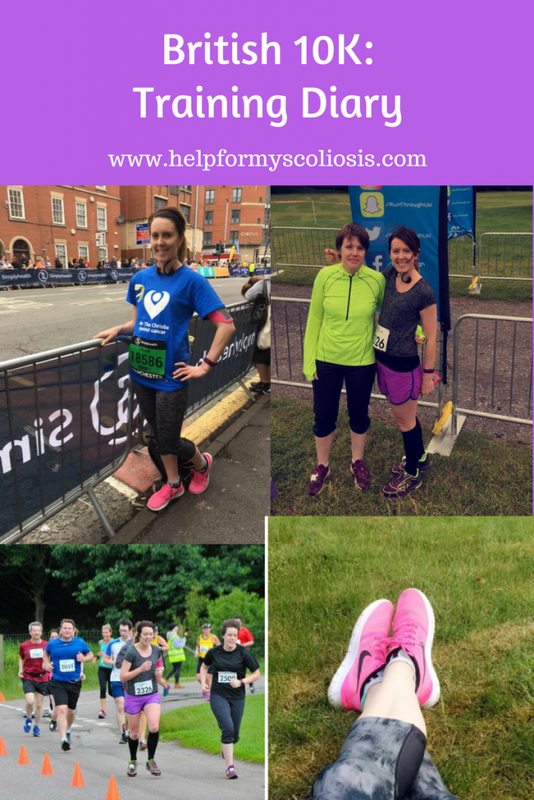 I do find running difficult at times with my back but I am determined to do this in order to raise money and awareness of scoliosis, especially as I never thought I’d ever be able to do anything like this following my scoliosis surgery. After my scoliosis surgery, I had to learn to walk all over again. I couldn’t bathe or dress myself and had to have help just getting out of bed. 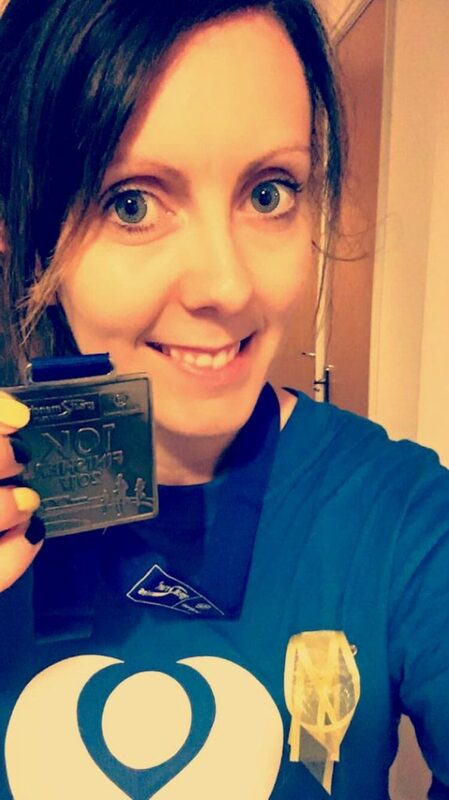 Running a 10K race for the Scoliosis Campaign Fund shows how far I’ve come and I will continue to keep pushing and challenging myself further to achieve my goals. 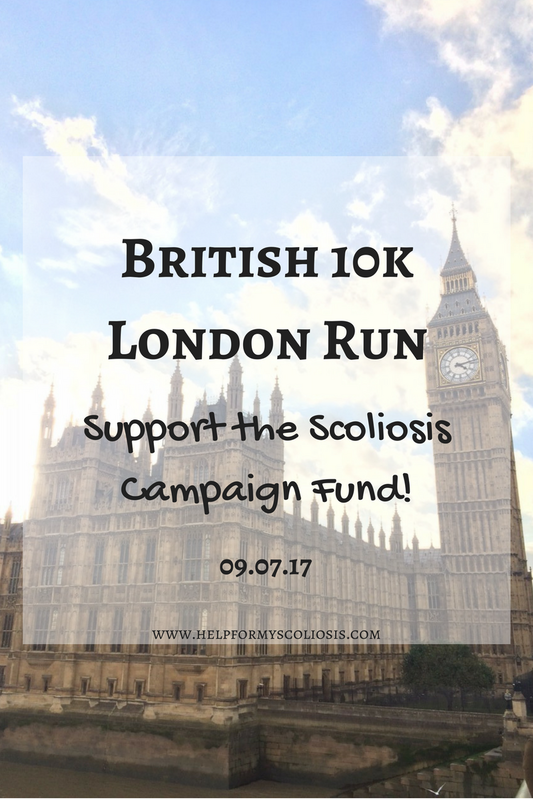 The British 10k London Run is a major fundraising event for the Scoliosis Campaign Fun and I’m really excited to be involved! I plan on posting regular updates on here with my progress and how I’m getting on with my training. P.s. if you’d also like to get involved in raising money for the Scoliosis Campaign Fund, there are loads of great fundraising ideas, resources and events you could get involved with available here – Scoliosis Campaign Fund – Fundraising Ideas. Pin it and help me spread the word! Recently, I’ve been doing quite a bit of running. I completed my first Park Run in January and signed up to a few 10K races plus a 5K fun run this year. So, should I be running with scoliosis? The honest answer is I don’t really know. I enjoy it, which is why I do it. I love the feeling I get after a run and the endorphins. It’s a great stress reliever and I love the fact that I can do it despite my scoliosis. 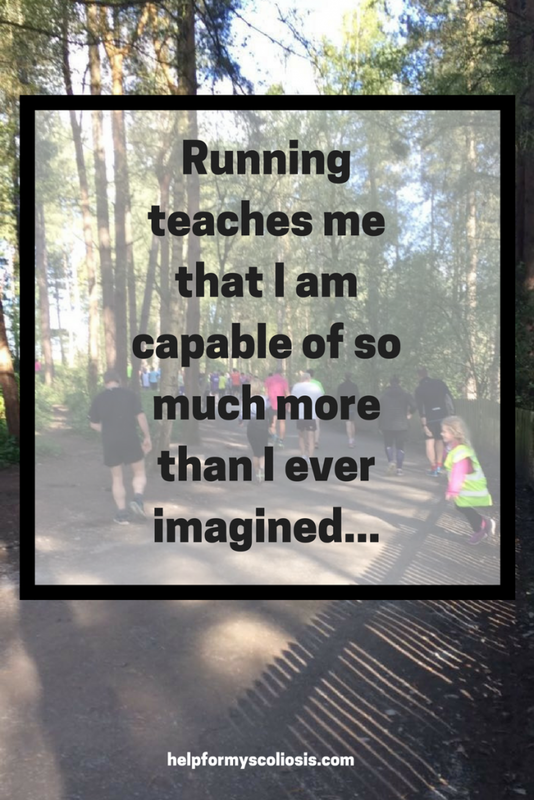 I also love seeing myself improve and getting fitter and faster – especially because running is something I had always thought I wouldn’t be able to do post scoliosis surgery. I do find running hard when I’m doing it but the sense of achievement I feel afterwards is addictive. Sometimes I worry that I’m putting pressure on the lower discs in my spine (that are unfused) by running. When I had my final post surgery checkup about a year after my surgery though, I asked my surgeon whether there was anything I can’t do. His answer was no – you can do anything. So that’s exactly what I do…! I must admit I only started running a couple of years ago, which was 5 years after my scoliosis surgery. It did feel a bit strange at first and I had to gradually build up to running longer distances by mixing walking and running. I’m of the opinion that scoliosis shouldn’t stop anyone from running if they want to and feel able. However, scoliosis causes muscle in-balances, which can make those of us with scoliosis more prone to injury. I myself have injured my shoulder muscles as a result of running and as a result I’m learning to adapt my running and training regime to put less strain on my back. This is really important and I learnt this the hard way. It’s important to build up gradually – don’t try to run too far and too fast too soon. I injured my shoulder muscles by pushing myself too hard. 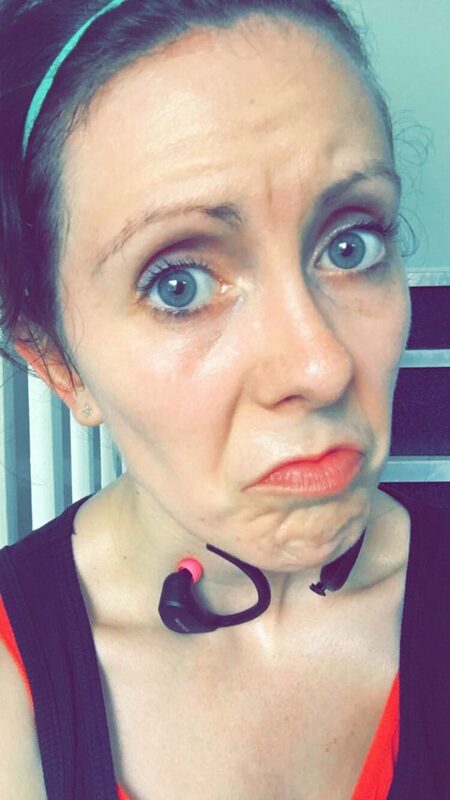 I stupidly gave myself a few weeks to train for a 10K race having never ran in my life. Don’t do this!! If you are used to running, that’s different. But when you have scoliosis you need to be patient with yourself and pushing yourself could cause injury. Try a couch to 5K programme or mix running with walking to start with. Listen to your body and if your back starts hurting stop or take a rest. Having strong muscles is vital for running to prevent injury. Again, I learnt this the hard way and have always been afraid of weights etc in case I damage my back. This was the WRONG thing to do as it left me very weak and vulnerable to injury. I now know that it’s vital to complement running with strengthening exercises such as Pilates or any exercises focusing on the core muscles. I have been doing Body Pump classes for about 6 months now and am looking to start a class that just focuses on the core muscles soon. Exercises like The Plank are fantastic for building core strength. Decent trainers can make a HUGE difference to the impact on your spine and help to reduce back pain. 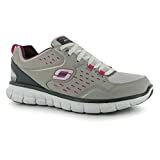 I love Skechers memory foam trainers (I have a couple of pairs now) as they absorb the impact on your spine. This is important for any runner but when you have scoliosis, the muscle in-balances can make your muscles feel extra tight. This is because one side often has to work harder than the other side and as a result the muscles become overworked and tired. I get really tight muscles down one side of my back due to this and a good stretch really helps. I really like the bottom to heels stretch and this Pilates for scoliosis book has some great stretches for scoliosis. Take rest days and mix it up! Make sure you rest in between runs. After a 5K or 10K run my lower back DOES hurt and I need a rest. I find if I run 30 or 40 minutes for say two days in a row, my back will start to hurt and my shoulder starts twinging. I’m not sure I could run every day for example. I think it’s the repetitiveness of running that my back muscles don’t like, as I injured my shoulder when I was running almost every day training for a 10K. So I now try to vary my cardio by mixing running with other exercises such as the cross trainer and spin classes. I think it’s important to not overdo running and mix it in with other things to reduce the strain on your back muscles. This is the crucial one! I am so guilty of this. I compare myself to everyone all the time. For example, there’s people who I go to the gym with who can run faster than me and I hate it. 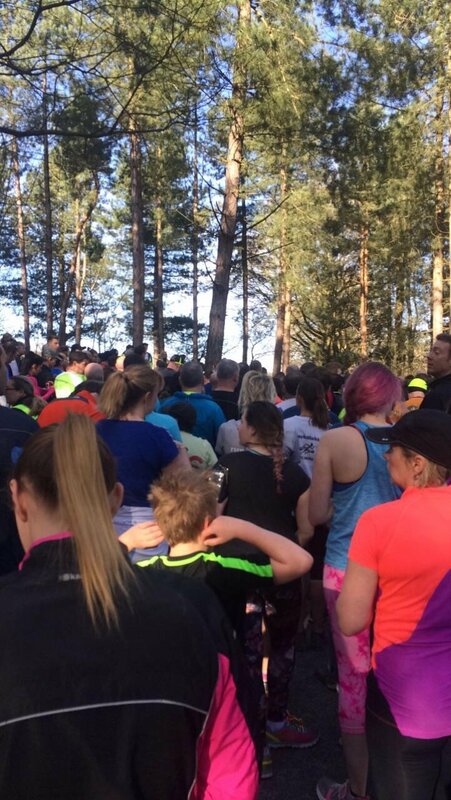 I wish I could run as fast as the people at Park Run who can finish a 5K in under 20 minutes. It’s important though to remember your limitations. Running with scoliosis doesn’t mean you can’t run as fast as others but you should pace yourself. And be proud of what you CAN do! I personally find running fast very difficult and it feels more comfortable on my back when I am jogging at a gentle pace. When I try to go faster I end up hurting myself or feeling pain. Everyone’s different and I am just SO grateful that I can even run 5K, 10K etc, as I never thought it would even be possible. 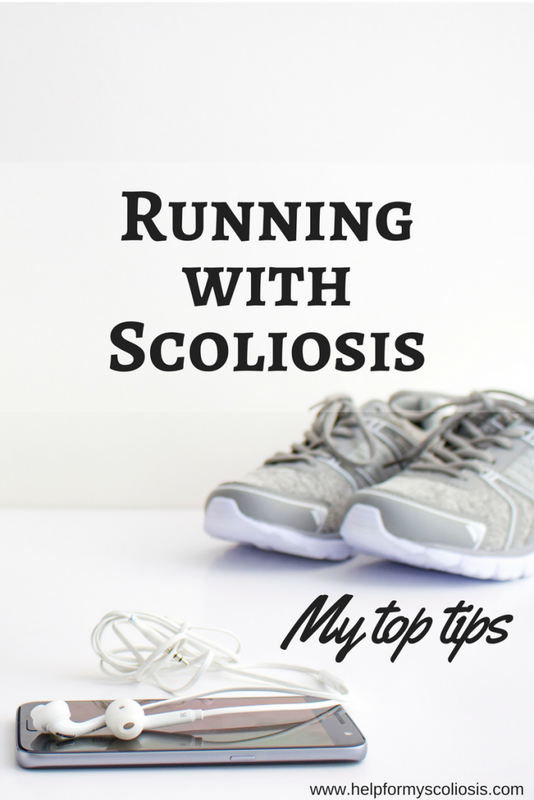 The important thing when running with scoliosis is to start gradually and build strength in the back, core and legs which will help to build up speed and distance safely over time.